Thank you for visiting Teaching Ideas! This page contains a list of frequently asked questions... if you have a question that isn't answered here, please get in touch. What is 'Teaching Ideas' and who is it intended for? Teaching Ideas contains thousands of free classroom activity ideas, downloadable resources, display photos and other educational content that teachers can use with their children. It is mainly intended for UK teachers, but the ideas and resources can be used by teachers, parents and other educators all around the world. What age range do the ideas and resources cover? The content on this site is mainly suitable for teachers of primary-age children (i.e. ages 5 to 11). However, there are many ideas and resources which can be used with younger and older students. We have labelled our activities / resources with suitable age ranges, but these are only there to give guidance. The level of many activities on the site can be altered to suit the the level of ability of the children in your class. Teachers should make sure that the activities are appropriate for their individual pupils. Can you add more resources for secondary teachers? The site was originally set up to support primary teachers. Of course, secondary teachers are welcome to use the ideas and resources if they feel that they would be suitable for their classes. We are adding increasing amounts of content for secondary teachers, but we are mainly reliant on contributions from others for these. Please get in touch if you can share your ideas and resources! How am I allowed to use the resources? You may use the ideas, print / photocopy resources, and download files from the site for use within your own classrooms, provided that you agree not to change them or delete any copyright or proprietary notices from the materials. Parents and tutors are also welcome to use them with their own children should they wish to do so. All other uses are strictly prohibited. In particular, the ideas and resources on this site may not be used for commercial purposes, for resale, or posted on other websites. If you have any queries about this, please contact me via email at [email protected]. This website and its content is copyright of Teaching Ideas Limited - © Teaching Ideas 1998-2015. Some images are © ThinkStock Photos. All rights reserved. Where kinds of teaching materials can I find here? Activity Idea A suggested teaching or activity idea that your children can try. This may be used to introduce them to (or review their understanding of) a topic. Some of these pages may also include related resources that you can download. Activity Resource A downloadable resource that your children can use as part of a classroom activity. Assessment Resource A downloadable resource that you can use to assess children's understanding of a topic. Book A range of teaching ideas and classroom resources that are all based on a popular children's book. You can find all of our 'Book' pages here. Display Resource A printable resource that can be used to decorate a classroom display or bulletin board. These include display banners, posters and other materials that will brighten up your classroom walls and give children useful reference information to enhance their learning. Photo A photo of a classroom display / bulletin board or a classroom activity. Use these for inspiration for your own work in the classroom! If you have any photos of your own classrooms that you can share, please get in touch! Planning Ready-made plans that can be used to teach particular topics. Remember to ensure that they are appropriate for the needs / abilities of the individual children in your class. Presentation A Powerpoint presentation or Smart Notebook file that can be used as a whole class teaching tool on a large display (e.g. an interactive whiteboard). Template A printable template that children can write or draw on as part of their classroom activities. Video A selection of teaching ideas / resources, linked to a particular video. Please watch the entire video before using it with your class, to ensure that it is appropriate for their age / ability. You can find all of our video pages here. What format are the downloadable files? Available here. Other PDF readers are also available. Should work in relevant Microsoft Office software, OpenOffice or compatible programs. Can I comment on the ideas and resources? Yes please! We love hearing feedback about the ideas and resources here. You might want to suggest an alternative idea, tell others how you think the idea could be improved, or simply let us know how things went when you tried the activity in your own classroom. Please note that all comments are moderated and they may be deleted if inappropriate / unsuitable for use on the site. Can you let me know when you update Teaching Ideas? Email newsletter - Sign up here. It's free! RSS feed - Subscribe to this feed. Can you post something on your social media pages for us? We regularly receive requests to share items on our social media channels. Unfortunately, we are not able to accept any of these requests. Do you make any other sites for teachers? 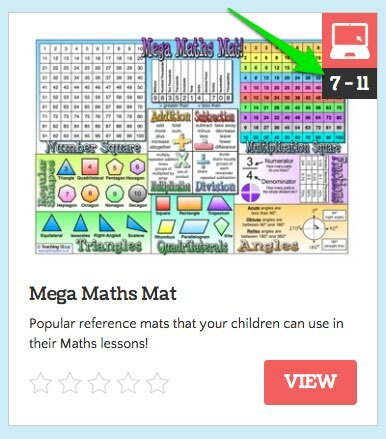 Teaching Packs (www.teachingpacks.co.uk), which offers complete packs of high quality classroom resources linked to the topics that are taught in schools. Welcome to the Web (www.w2tw.co.uk) is designed to introduce children and adults to the Internet. It includes a selection of interactive areas, which help people to learn about the net. There is also an exciting challenge which tests everything that has been learnt around the other areas of the site. Please note that our Teaching News, Teaching Photos, Teaching Appz and Ideas to Inspire sites are no longer available. Most of the content has been moved to Teaching Ideas. Can I contribute my own ideas and resources to this site? Yes please! Please use our Share Your Ideas page to send us your own ideas and resources. Can I request new resources? If you get in touch, I will be happy to consider making some resources for particular topics. Can I add a link to your site on my own? My name is Mark Warner and I created Teaching Ideas in 1998 when I was training to be a teacher. After teaching for 15 years, I now work on our teaching resource sites full-time, with help from my wife Helen. I think that sharing ideas and resources is a great way to help each other and reduce our workload. If you wish to contact me, please email me at [email protected] or use our contact form. How can I advertise on Teaching Ideas? If you are interested in advertising on Teaching Ideas, please send me an email and I will be happy to discuss your requirements. Thank you for visiting. I hope that you find the site very useful and that it makes your job as a teacher a little easier.